Altair Louvres are also available in a wide range of window frames. 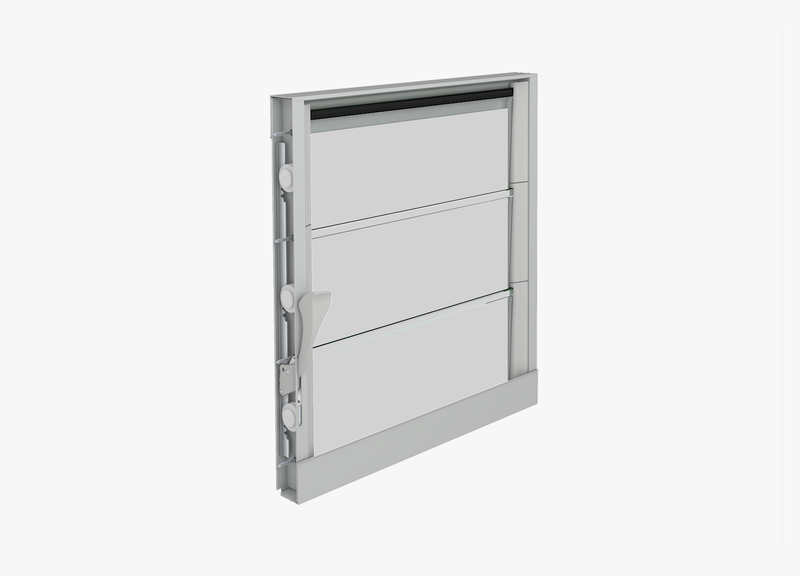 Breezway has developed the Altair Louvre System so window fabricators can install Altair Louvres within their own aluminium or timber frames for residential and commercial applications. This provides the benefits of Altair Louvres while retaining the benefits inherent in the window fabricators own window designs. 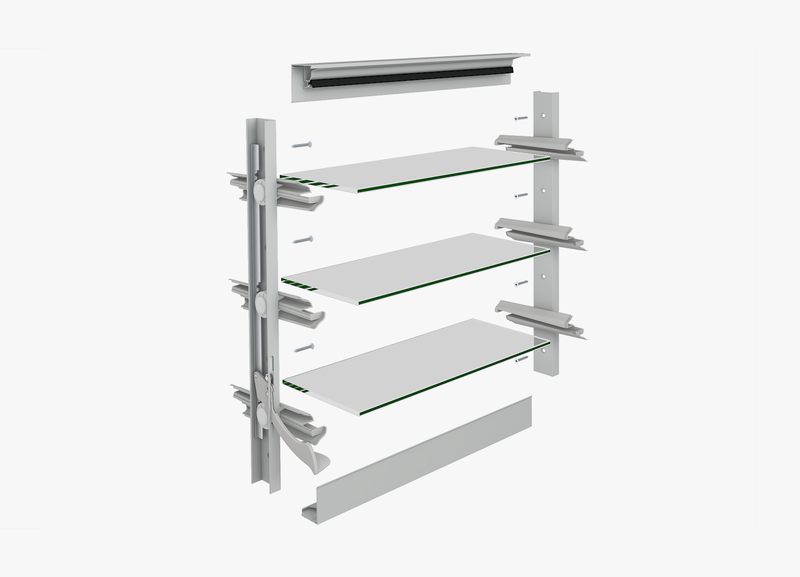 The Altair Louvre Component System provides a way for fabricators to include Altair Louvres and Weatherstrip in their window frames. 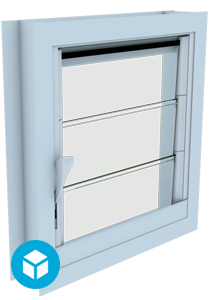 The Altair Louvre and Weatherstrip can be screw fixed to the outer frame. 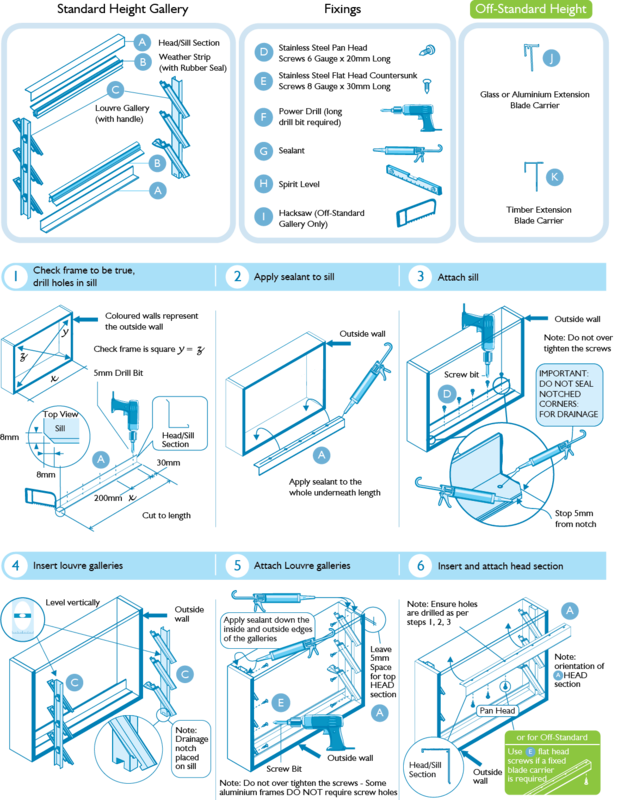 Exploded view of Altair Louvre Gallery System including parts and screw fixings. 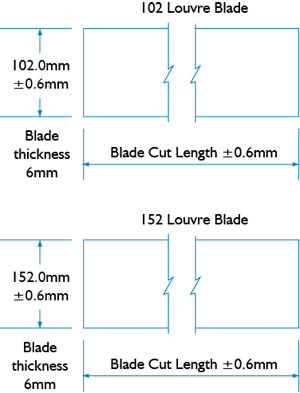 Weatherstrip, complete with seal, must be used to gain manufacturer’s performance warranty. Altair Weatherstrip does not require notching to accomodate the louvre gallery. Weatherstrips to head and sill add 10mm to overall gallery height. 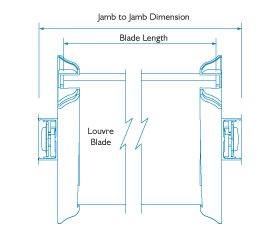 Off Standard Height Galleries that are within 5mm of a Standard Height Gallery will not have a top fixed blade and will therefore require Standard Height Weatherstrip sets. 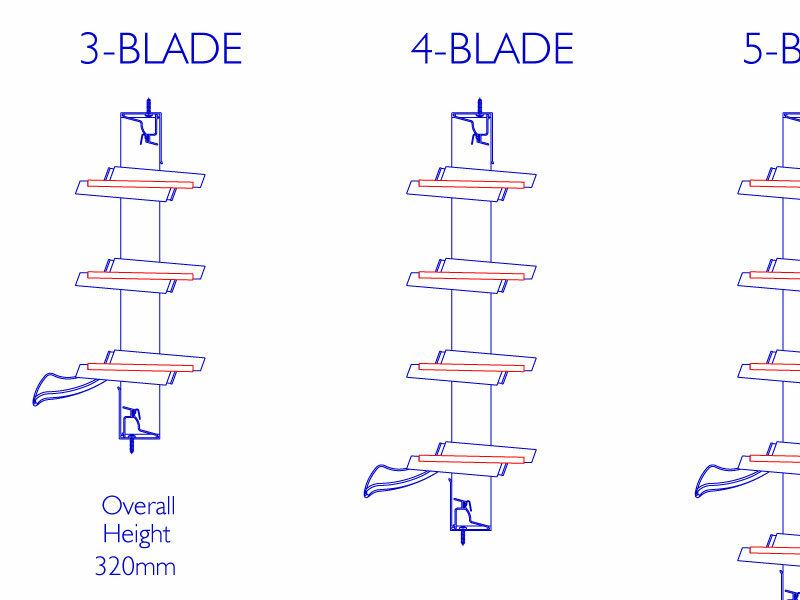 Off Standard Height Galleries that are more than 5mm greater than or less than a Standard Height Gallery will have a top fixed blade and will therefore require Off Standard Height Weatherstrip sets. 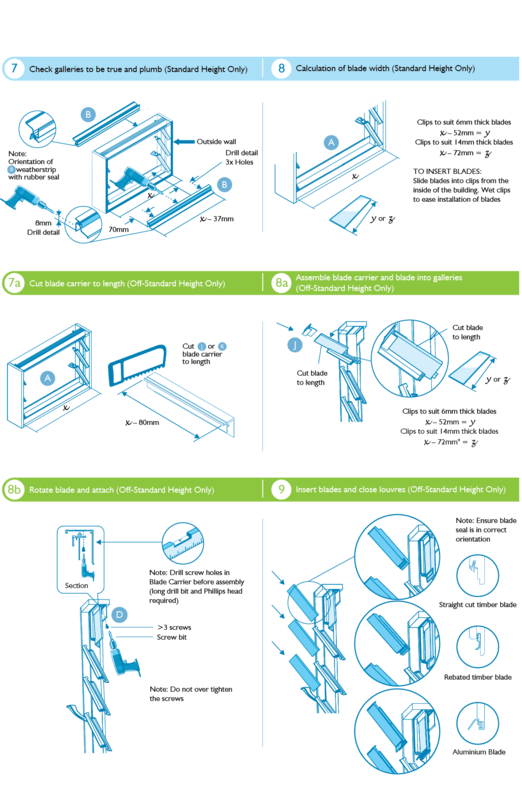 You can use your mouse to hover over the preview screen inside the table below to identify each CAD drawing prior to downloading the file. 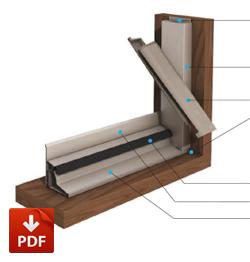 The same Weatherstrip is used on both the head and sill for standard glass, aluminium and timber louvres. 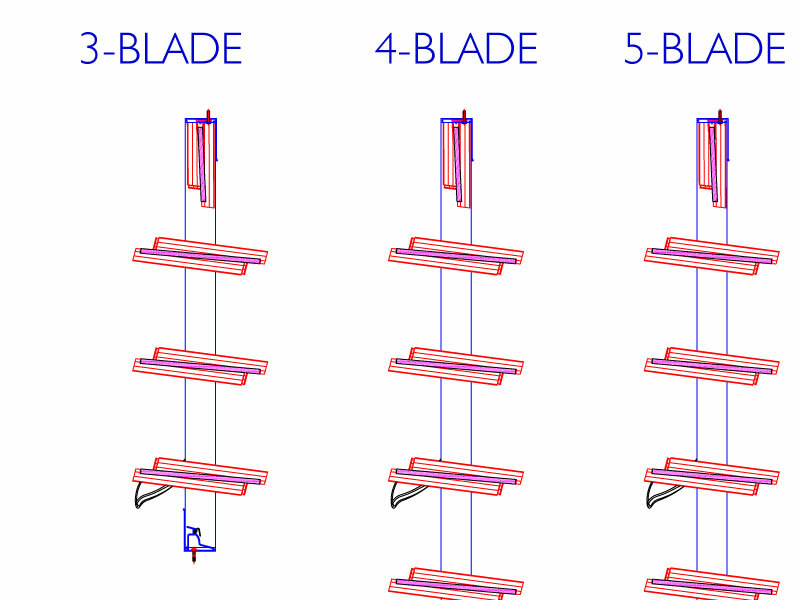 Off Standard Height Galleries that are within 5mm of a Standard Height Gallery will not have a top fixed blade and will therefore require Standard Height Weatherstrip sets. 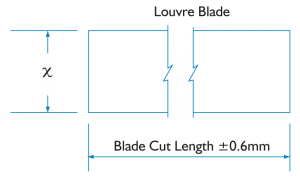 Off Standard Height Galleries that are more than 5mm greater than or less than a Standard Height Gallery will have a top fixed blade and will therefore require Off Standard Height Weatherstrip sets. Altair Weatherstrip does not require notching to accommodate the louvre gallery. 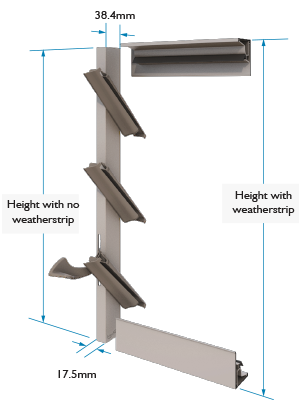 Weatherstrip, complete with seal, must be used in the head and sill to satisfy the Breezway Product Performance Warranty. Weatherstrips to head and sill add 10mm to overall gallery height.